Gabriel Finley & the Raven’s Riddle by George Hagen was a nominee for the 2016-17 South Carolina Children’s Book Award. Gabriel Finley’s father, Adam, has been missing for several years. Gabriel lives in Brooklyn with his aunt, but he never stops wondering what happened to his father. Soon, though, Gabriel will begin to solve the riddle of his missing father…and so much more. When Gabriel discovers that he can communicate with ravens–who are the most intelligent of all the birds–secrets begin to be revealed. As it turns out, his dad shared this gift, and it could have something to do with his disappearance. Gabriel’s dad worked with his own raven companion, or amicus, to hide a powerful object from the valravens (cursed, fiendish birds) and their leader, Corax, a being who is half-man, half-valraven…and Gabriel’s uncle. With the help of his own amicus, Paladin, and several friends, Gabriel begins to unravel the truth of what his uncle is seeking and the whereabouts of his father. The journey involves untangling riddles, battle with a magical, music-loving desk, and learning about the Finley family’s secrets. Gabriel is determined to find his way to his father, but forces are at work that are equally determined to stop him. Is Gabriel ready to descend into Aviopolis, Corax’s horrifying domain, risking the lives of himself and his friends, to prevent Corax from ruling both above and below the surface? Will he be able to rescue his father, save himself and his friends, and defeat the evil Corax? 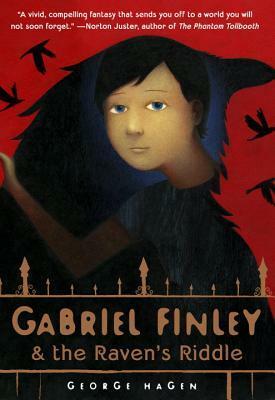 Read Gabriel Finley & the Raven’s Riddle to find out! Pardon Me! 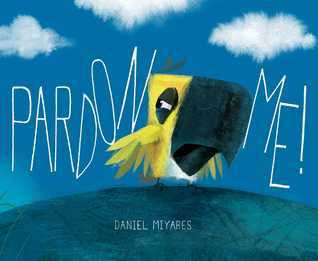 by Daniel Miyares was a nominee for the 2016-17 South Carolina Picture Book Award. The little bird finally snaps. He wants everyone to leave him alone! He doesn’t realize, however, that the fox is trying to give him a very important warning. Being grumpy could land this little yellow bird into a huge heap of trouble! Pardon Me!, while not ideal for read-alouds, is sure to charm fans of I Want My Hat Back, This Is Not My Hat, Sam and Dave Dig a Hole, and other books with rather unexpected endings. 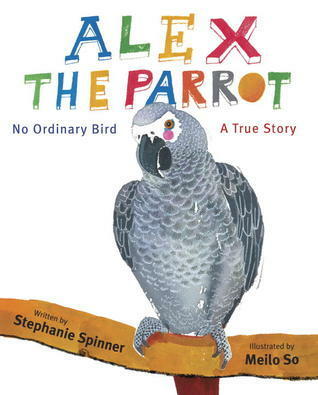 It is a very quick, surprising read that will delight young and older readers alike. The illustrations are vibrant and beautifully capture the overall mood of the book. Clara Dooley has been cooped up in the Glendoveer mansion her entire life. Her mother takes care of the house, and young Clara, who has a weak heart, has lessons with the aging Mrs. Glendoveer, widow to the famed magician, the Great Glendoveer. The Glendoveers were once a big, happy family, but tragedy struck–the Glendoveer children were kidnapped and killed–and the family was reduced to little but tears, bitterness, and a longing for times past. The Glendoveer mansion is shrouded in mystery, a mystery made even more strange by the birds that inhabit the house’s aviary. These birds have lived longer than any birds should, and they have some odd connection to the Glendoveer family. Clara has always been a bit frightened of the birds–who squawk madly whenever she’s near–and her fear reaches a new level when one of the birds speaks a name–Elliot. What really happened to the Glendoveer children? Who is Elliot? What is so special about the birds in the aviary? Why is so important that Clara be the one to uncover the truth? And can this young girl solve a mystery that has puzzled everyone for decades and help the Glendoveer family finally find peace? 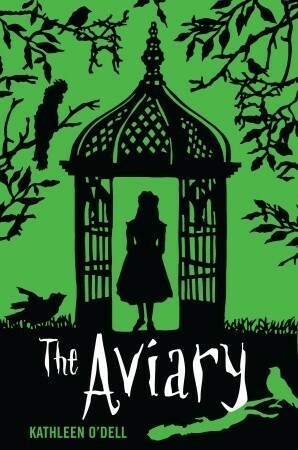 Answer these questions and many more when you read The Aviary by Kathleen O’Dell! 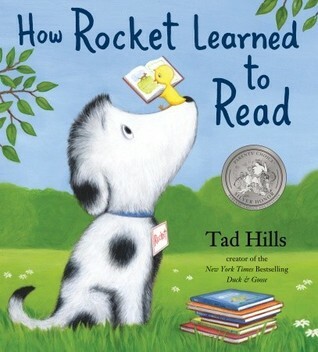 How Rocket Learned to Read by Tad Hills was nominated for the 2012-13 South Carolina Picture Book Award. This book is a charming tale of a busy dog and a little yellow bird. The bird is looking for a student, and Rocket just happens to be in the area. (The bird’s school is located in Rocket’s favorite nap area.) At first, Rocket just wants to take his nap and keep to himself, but, as the bird begins to read a story about a dog looking for his bone, Rocket gets interested in learning more. Eventually, the bird teaches Rocket about the wonderful, glorious alphabet and how to spell and read. When the bird flies south for the winter, Rocket continues to practice his spelling and reading, getting ready for school to start when the weather warms up again. 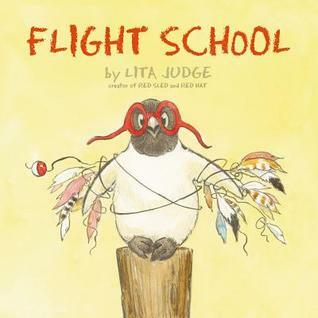 How Rocket Learned to Read is a great read-aloud for students, particularly those who are just learning to read themselves, to teach them how wonderful reading can be. Students who enjoy this book will also love the sequel, Rocket Writes a Story. More Rocket stories are sure to come, so be on the lookout for these wonderful books!